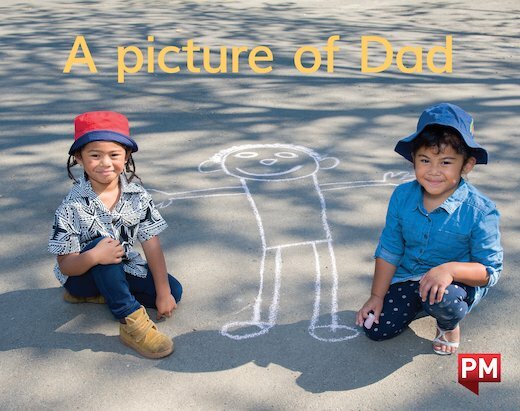 A brother and sister draw a picture of Dad with chalk on the footpath. They start with his nose and mouth and finish with his legs and feet. It looks just like Dad!